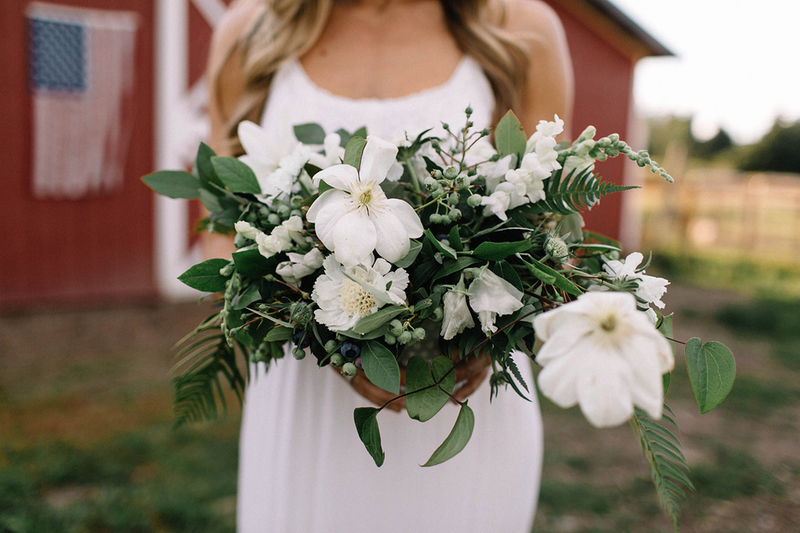 STLYING: For the tables I wanted to incorporate a lot of rustic and old details. 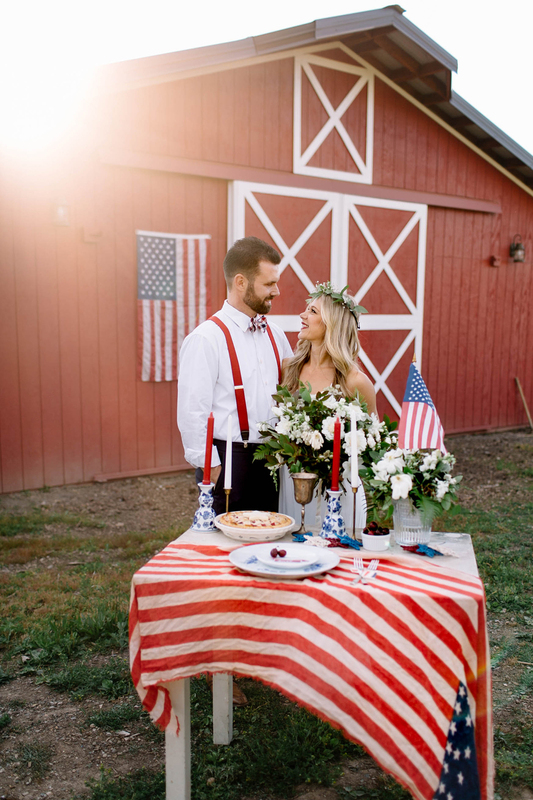 They live on this incredible cute barn so I knew red would be a huge color component and I tried to balance that with white and blue vintage dinnerware. PAPER GOODS: This was meant to be informal and light hearted. The only traditional aspect of it might be the vintage-style airmail RSVP Envelope, other than that the rest is pretty whimsical and fun. 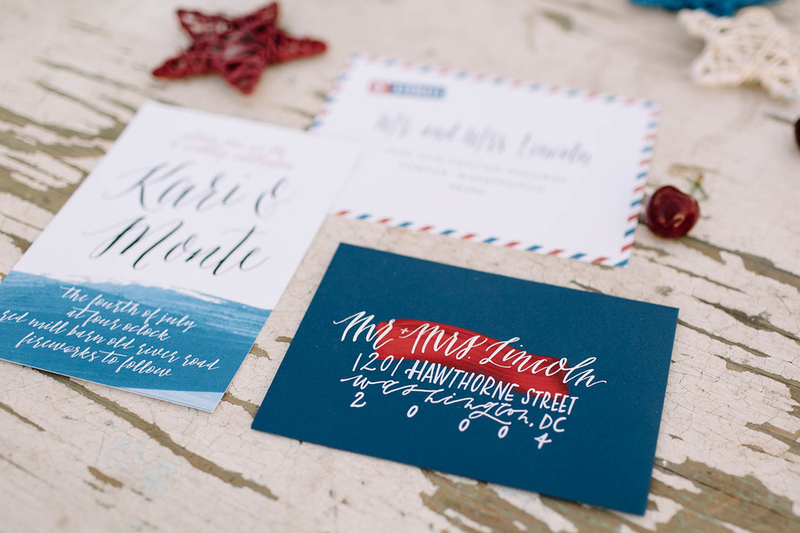 We added some watercolor brush strokes, a navy envelope with red paint and a mixture of white calligraphy and handlettering. 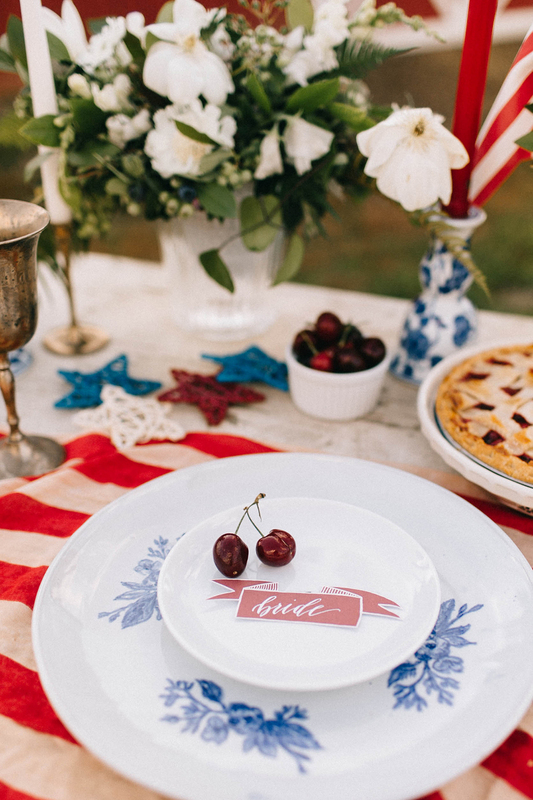 I loved getting to finish off the invitation with "Fireworks to Follow"
You can see more from this shoot over at Gina Paulson Photography!